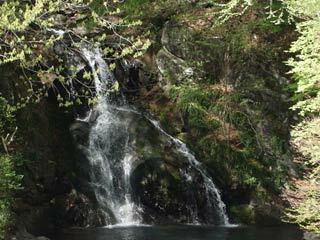 Momotaro Falls (桃太郎の滝) is one of waterfalls in Shima Onsen. It is located on Lake Shima. Therefore, you can see this waterfalls on the small hiking course around the lake. No one knows why this falls was named Momotaro.